High Blood Pressure caused due to any reasons can be controlled and cured through Pranayam, Meditation & Various other traditional methodology. Common available medicines are only effective in controlling its level, but fail to provide any permanent solution. “Incurable High B.P. is made Curable”. His Holiness Swami Ramdevji Maharaj has gifted mankind a complete and permanent cure from high blood pressure through yogic practices. 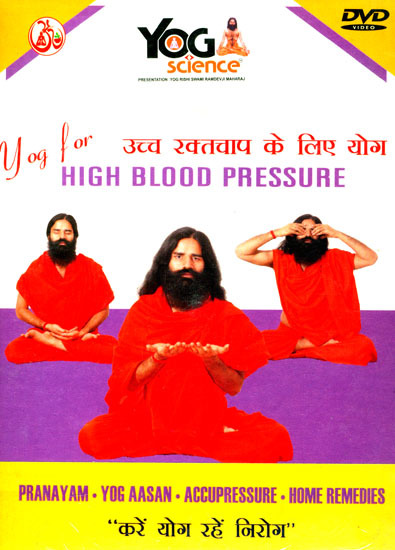 Many factors are responsible for high blood pressure, such as: obesity, diabetes, coronary malfunctioning, or hereditary, This DVD speaks about simple & scientifically proven yogic practices & home remedies to get rid of this ailment. Patanjali Yog Peeth presents in association with Garg Enterprises as Divya Yog Sadhna Production of Yog Rishi Swami Ramdevji’s “Yog Science DVD” series.